The band's second album, O My Heart, was released on September 16, 2008; their third album, Eureka, was released on March 15, 2011; their fourth album, The Sticks, was released on September 18, 2012; and their fifth album, Very Good Bad Thing was released on November 4, 2014, with an American release of April 7, 2015, on Def Jam Recordings. The band began in Heriot Bay in January 2005, when guitarist and vocalist Ryan Guldemond was at music school and wanted to start a band based on vocal-driven pop songs. He recruited his sister Molly along with a friend from college, Debra-Jean Creelman, to accompany his own vocals for the songs he had written, and the trio played as an acoustic act before adding drummer Kenton Loewen and bassist Jeremy Page. The five members started off playing under the name Mother, and in the fall of 2005, they independently released a self-titled album. This debut album was recorded with Howard Redekopp, who had also worked with the New Pornographers and Tegan and Sara. When the Vancouver Province rated Mother as one of the top five BC bands to watch for in 2007, they began to receive acclaim for their debut album. Shortly thereafter, Mother landed a nationally broadcast concert opening[when?] for K'naan and the Wailin' Jennys. In the summer of 2006, they opened for the Australian band the Cat Empire at the sold-out Vancouver International Jazz Festival. Later that year, they made their debut in central Canada at the Montreal International Jazz Festival on June 29 as well as in Toronto on July 1, Canada Day, at the Harbourfront Centre. In October 2006, after playing a set at the Pop Montreal festival, Mother met with Last Gang Records and later signed a four-album contract. At that point the label encouraged the band to change their name to avoid legal issues, and they renamed themselves Mother Mother. On February 20, 2007, the band re-released its debut album under the new name, renaming the album Touch Up and including two new songs, as well as artwork and overdubs different from the original. The band released their second album, O My Heart, in 2008. Later that year, on December 3, it was announced that Debra-Jean Creelman had left Mother Mother; on January 26, 2009, the band announced the addition of a new singer/keyboardist, Jasmin Parkin. Mother Mother's third album, Eureka, was released on March 15, 2011. The album's lead single, "The Stand", entered the Canada Singles Top 100 chart in May 2011 and peaked during that week at position 76. The album prompted a reviewer at the Toronto Star to describe the band as "evolving into orchestral harmonies and hip hop-influenced power ballads, as if Adam Lambert had joined The Dirty Projectors". On January 9, 2012, Kraft Foods launched a series of television commercials featuring the song "Bright Idea". Mother Mother's fourth album, The Sticks, was released on September 18, 2012. It contains 14 tracks and was co-produced by the band frontman Ryan Guldemond and producer Ben Kaplan. The first single, "Let's Fall in Love", was released on July 17. They performed this song on their Canadian tour in 2012, playing in hometown Vancouver on December 19. In 2014, the band signed with Universal Music Canada to produce their fifth album, Very Good Bad Thing, which was released on November 4, 2014. The first single from the album, "Get Out The Way" was released on July 15, 2014. 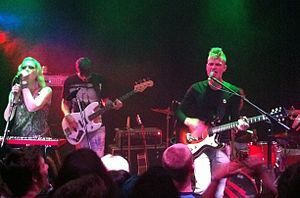 Mother Mother played the City of Brampton, Ontario's New Year's festivities at the end of 2016. On November 24, 2016, the band announced their Canadian No Culture Tour. Their tour begins in New Brunswick in February 2017 and ends in British Columbia at the end of March 2017. On February 10, 2017, their latest album No Culture was released. The lead single from the album, "The Drugs", was released on November 4, 2016. ^ "Artists: Mother Mother". defjam.com. Def Jam Recordings. Retrieved 2015-03-24. ^ a b c "Mother Mother Announce New Eureka LP". Exclaim!, December 6, 2010. ^ Portoghese, Bill (May 2, 2011). "Mother Mother Interview". The Oswegonian. Retrieved July 1, 2012. ^ "Festival Archives: Mother". Montreal International Jazz Festival. Retrieved July 1, 2012. ^ Wagner, Vit (June 29, 2006). "Mother grows up quickly". Toronto Star. ^ "Myspace Blog Post". myspace.com. Retrieved 2011-11-30. ^ "Song Performance". aCharts.us. Retrieved 2011-06-15. ^ Levack, Chandler (March 8, 2011). "Mother Mother's musical moves". Toronto Star. Retrieved July 1, 2012. ^ "Bright Idea Kraft Foods". youtube.com. Retrieved 2012-01-09. ^ a b c Hudson, Alex (July 16, 2012). "Mother Mother Detail 'The Sticks,' Share New Tracks". Exclaim!. Retrieved July 25, 2012. ^ Hudson, Alex (July 15, 2014). "Mother Mother Sign to Universal for New Album, Premiere 'Get Out the Way'". Exclaim!. Retrieved November 17, 2014. ^ "Mother Mother | 'No Culture' New Album February 10th 2017". Mother Mother. Retrieved 2016-12-03. ^ Murphy, Sarah (November 24, 2016). "Mother Mother Announce 'No Culture' LP, Premiere 'The Drugs'". exclaim!. Retrieved 2017-01-13. ^ "Mother Mother is Back with New Single: The Drugs". Umusic. 2016-11-04. Retrieved 2017-01-13. ^ "On The Charts...This Week". FYIMusicNews. Retrieved February 22, 2017. 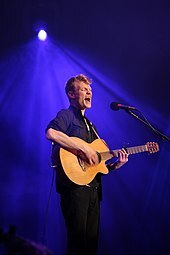 ^ "Mother Mother - Music Charts". aCharts. Retrieved June 1, 2011. For "O My Heart" "Media Source - Canadian Active/Alternative Charts". America's Music Charts. Retrieved July 30, 2012. For "Body Of Years" "Media Source - Canadian Active/Alternative Charts". America's Music Charts. Retrieved July 30, 2012. For "Hayloft" "Media Source - Canadian Active/Alternative Charts". America's Music Charts. Retrieved July 30, 2012. For "The Stand" "Media Source - Canadian Active/Alternative Charts". America's Music Charts. Retrieved July 30, 2012. For "Baby Don't Dance" "Canadian Active Rock & Alt Rock Chart Archive: Alternative Rock - September 27, 2011". America's Music Charts. Retrieved September 27, 2011. For "Simply Simple" "Canadian Active Rock & Alt Rock Chart Archive: Alternative Rock - February 7, 2012". America's Music Charts. Retrieved February 7, 2012. For "Let's Fall In Love" "Canadian Active Rock & Alt Rock Chart Archive: Alternative Rock - August 21, 2012". America's Music Charts. Retrieved August 21, 2012. For "Bit By Bit" "Canadian Active Rock & Alt Rock Chart Archive: Alternative Rock - February 12, 2013". America's Music Charts. Retrieved February 12, 2013. ^ "Canadian Active Rock & Alt Rock Chart Archive: Active Rock - May 10, 2011". America's Music Charts. Retrieved May 18, 2011. ^ "Canadian Active Rock & Alt Rock Chart Archive: Active Rock - September 4, 2012". America's Music Charts. Retrieved September 25, 2012. ^ "Canadian Active Rock & Alt Rock Chart Archive: Active Rock - December 25, 2012". America's Music Charts. Retrieved December 25, 2012. ^ "Mother Mother - Touch Up". youtube.com. Retrieved 2017-02-11. ^ "O My Heart - Music Video". youtube.com. Retrieved 2017-02-11. ^ "Body Of Years - Music Video". youtube.com. Retrieved 2017-02-11. ^ "Mother Mother - The Stand". youtube.com. Retrieved 2017-02-11. ^ "Mother Mother - Baby Don't Dance". youtube.com. Retrieved 2017-02-11. ^ "Mother Mother - Bit By Bit [Official Video]". youtube.com. Retrieved 2017-02-11. ^ "Mother Mother - Get Out The Way". youtube.com. Retrieved 2017-02-11. ^ "Mother Mother - Monkey Tree". youtube.com. Retrieved 2017-02-11. ^ "Mother Mother - Modern Love". youtube.com. Retrieved 2017-02-11. ^ "Mother Mother - The Drugs". youtube.com. Retrieved 2017-02-11.